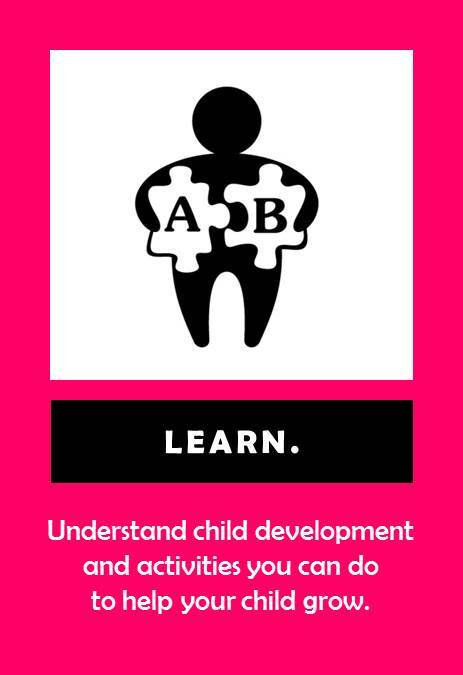 Learn about your child's development. ﻿﻿﻿﻿As a parent, you are your child's first and most important teacher. Your child begins learning as soon as they are born, and constantly develops new skills as they grow. 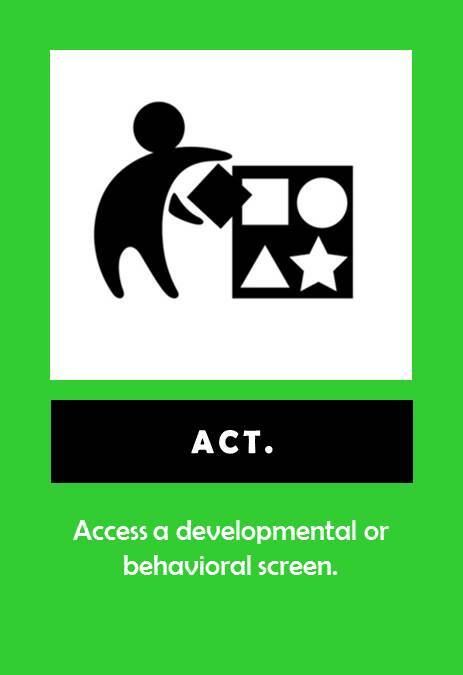 Knowing about typical child developmental will help you monitor your child for signs they are developing appropriately or signs they may need special support to help them reach their greatest potential. During 0-2 months of life, your child should begin to coo and turn their head towards sounds. Between 2 and 4 months, your baby begins to babble and tries to copies sounds she hears. You may start to notice that your baby has different cries depending if she is hungry, tired or in pain. By 6 months, your baby responds when you call his name. He strings together vowel sounds ("ah," "eh") and may even be working on saying consonants (m, n, b). He makes sounds to let you know if he is feeling happy or sad. From 0-2 months, your child is learning how to hold their head up and push up while on their tummy. By 4 months, your baby can hold his head up steady and pushes up to his elbows while on his tummy. He is working on rolling from his tummy to his back. At 6 months, your baby has figured out how to roll over in both directions. She is starting to sit up without support and can stand with your help. From 0-2 months, your newborn is working on smoother control of their hand movements. They should be able to grab your finger and hold on tight! At 4 months, your baby can hold a toy and shake it. He brings his hands to his mouth, and may begin to put other objects in there as well. During 4-6 months, your baby is working towards holding a toy in one hand and picking up small objects with the tips of her fingers. By 6 months, she may be able pick up something as small as a Cheerio or a piece of string! During 0-2 months, you will notice your newborn beginning to follow things and people with their eyes. Your baby may start to act bored when they are not stimulated by changes in activities. By 4 months, your baby is able to let you know when she is happy or sad. She watches you closely to learn everything you do. Her hand/eye coordination is strong enough that she can look at a toy and reach for it with one hand. At 6 months, your baby brings lots of items to his mouth, sometimes things that aren't safe. He loves looking around and is very curious, especially about things he can't reach. At 2 months, you may notice that your child smiles at people and tries to look at you to get your attention. Your baby may also be able to calm himself down for a short period of time by bringing his hands to his mouth. From 2-4 months, your baby is working on the ability to copy some of your movements and facial expressions, like smiling or frowning. She smiles at you spontaneously and likes to play games. By 6 months, your baby begins to know who is familiar and who is a stranger. He responds to other peoples emotions and likes to look in a mirror. Playing with his parents and others is one of his favorite activities. *All information adapted from the Centers for Disease Control and Prevention, Learn the Signs. Act Early., campaign. Access at: http://www.cdc.gov/ncbddd/actearly/index.html. From 6-9 months, you may notice your baby begin to make a lot of different sounds like “mamamama” and “bababababa”. He may copy sounds that he hears and gestures that you make. He can use his fingers to point at items and understands the word “no”. Between 6 and 9 months, babies begin to learn how to get around. Your child may pull himself up to stand holding onto your hands or furniture. He may be able to get into a sitting position and should be able to sit without support. He may even begin crawling! By 12 months, your child can sit up without help and pulls herself into a standing position. She walks while holding onto hands or furniture, and may even be able to take a few steps or stand alone. Between 9-12 months, your child continues to practice using his index finger and thumb to pick up small items, can let go of toys without help, and may be able to turn the pages of a book. At 6-9 months, your child watches the path of items as they fall, may look for items that you hide, and plays peek-a-boo. By 12 months, your child can find hidden items easily and explores things by shaking, banging, and throwing. She pokes and points with her index finger, looks at the right picture or item when it is named, and copies gestures that she sees. She also probably enjoys putting things into a container and then taking them out. From 6 – 9 months, your baby may begin to cling to familiar adults and express fear around strangers. You may also notice that he has favorite toys or blankets. At 12 months, you child will still likely show shyness or nervousness around strangers and cry when familiar adults leave. He has his favorite toys and people, and will repeat sounds or actions to get attention. He will also show his desires by handing you a book when he wants to read, or a toy if he wants to play. By 2 years old, your child may be able to say sentences with 2 to 4 words, points to things or pictures when they are named, follows simple direction, and repeats words used in conversation. Between 2 and 3 years old, your child can follow instructions with 2 or 3 steps, can name most familiar things, and understands words like “in”, “on”, and “under.” She can tell you her name, age, and gender, and talks well enough that strangers can understand. She is also able to carry on a conversation using 2 or 3 sentences. By 18 months, your child may be able to walk alone, and even run and climb stairs. She can pull toys while walking and can help to dress and undress herself. Around 2 years old, you may notice your child is able to stand on tip toes to reach items out of reach, kick a ball, and climb on and off of furniture without help. He may begin to throw a ball overhand, walk up and down stairs while holding a rail, and run without falling too often. Most 3 year olds can run and climb easily, pedal a tricycle, and can walk up and down stairs with one foot on each stair. Around 18 months, your child can drink from a cup and eat with a spoon. He can also scribble with a marker or crayon. By 2 years old, your child may be able to draw or copy straight lines and circles. She may also begin to show preference for using one hand over the other, and can build towers of 4 or more blocks. By 3 years old, your child can work toys with buttons, levers, and moving parts, copies circles with a pen or crayon, turn book pages one at a time, and can screw and unscrew jar lids and turn door handles. By 18 months, your child knows what ordinary items are for: telephone, brush, spoon. She may show interest in a doll or stuffed animal and pretend to feed it. She is able to point to various body parts, and can follow 1-step verbal commands without any gestures from you. At 2 years old, your child can recognize and sort shapes and colors, find items that are hidden under several covers, plays simple make-believe games, and can complete sentences and rhymes in familiar books. She can also follow two-step commands and name items in picture books. Between 2 and 3 years old, your child may be able to complete puzzles with 3 or 4 pieces, understand what “two” means, and build tall towers of more than 6 blocks. She also plays make believe games with dolls, animals, and people. At 18 months, your child likes to give things to you to play. She also has strong emotions that are often expressed as temper tantrums, loves to explore with a parent close by, and shows affection to familiar people. Around 2 years, your child often copies others – especially adults and older children, gets excited when around other children, and begins to play with other children instead of next to them. He is becoming more independent and may show defiant or disobedient behavior. Between 2 – 3 years old, your child begins to show affection for friends without prompting, shows concern for a crying friend, understands the idea of “mine” and “his or hers”, and shows a wide range of emotions. Separation from parents is easier, and he may become upset with major changes in routine. He also begins taking turns with toys or during games and can dress and undress himself. At 3 years old, your child should be able to name most familiar things, uses words like "I," "we," "you," and can carry on a conversation with 2-3 word sentences. He can also say his first name, age and if he is a boy or girl. By 4, your child can sing a song from memory and starts telling stories. She can say her first and last name. She is starting to understand some basic grammar rules, such as using "he" and "she" properly. When your child is 5 years old, he speaks very clearly and can tell a simple story using full sentences. He can talk about things in the future, ie "Mom will be here late." He says his name and address, so be sure to teach him your phone number too! Big Body Movements (Gross Motor). When your child is 3, she can climb well, runs easily and pedals a 3-wheeled bike. She walks up stairs one foot on each step now, instead of using both feet per step like she used to. At 4 years old, your child can stand and hop on one foot for up to 2 seconds. By the time your child is 5, he can stand on one foot for 10 seconds or longer. He hops and may be able to skip and do a somersault. He swings and climbs; play structures at school and in parks are a great place for him to hang out. Small Body Movements (Fine Motor). At age 3, your child can hold a pen or pencil in his fingers and draw a circle or straight line after you show him how. He might be able to open and close child-safe scissors, even if he can't cut with them yet. By 4 years old your child can catch a bounced ball most of the time. He can also help you cook (with supervision!) by pouring, cutting and mashing food. At 5, your child can use a fork, spoon and sometimes a table knife. She can use the toilet without assistance. By 3 years old, your child is learning and thinking about the world around him in new and exciting ways. He may start pretend play with dolls, animals or people. He can do small puzzles, turn the door handle (time for knob covers! ), and can use toys with buttons, levers and other moving parts. During your child's fourth year, she is working on understand colors, numbers and the idea of counting. She can remember parts of a story and tells you what she thinks is going to happen next when you are reading her a book. She understand the idea of "same" and "different." She also is able to play simple board and card games with you. Your child's interactions with others are getting more and more complex as she ages. During her third year of life, your child shows affection for friends and has concern when they become upset. She starts to understand the concept of "mine" and "his" or "hers." She separates easily from mom and dad but may get upset with major changes in routine. She shows a wide range of emotions and needs you to help her identify what she is feeling. She can take turns in games now and dresses and undresses herself. By the time your child is 4 years old, she cooperates with other children and would rather play with others than by herself. She is getting more creative with make-believe play and often can't tell what is real and what is make-believe. Playing "Mom" and "Dad" is especially common. She finds pleasure in doing new things. She likes to talk about what she likes and what she is interested in. At age 5, your child wants to please his friends and wants to be more like them. He is more likely to agree with rules but is sometimes demanding and sometimes very cooperative. He no knows what is real and what is make-believe. You may notice him showing more independence (such as visiting a neighbor by himself). He is aware of what his gender is. 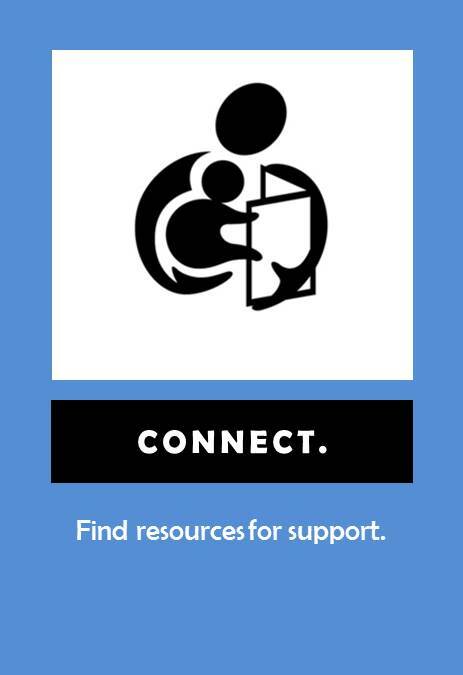 ﻿There are many great resources for research-based information about child development. Click the links below to go to websites where you can learn more! Centers for Disease Control and Prevention: Learn the signs. Act early. http://www.cdc.gov/ncbddd/actearly/milestones/. ﻿Activities to help your child learn and grow. Place a shatterproof mirror close to your baby where she can see it. While talking, tap the mirror to get her to look. Read simple books to your baby. Even if he does not understand the words, he will enjoy being close to you and listening to your voice. Praise and cuddle your baby when she responds to your voice. Rock your baby in your arms and sing “Rock-a-bye Baby” or another lullaby. Hold your baby in your lap and softly shake a rattle on one side of his head and then the other side. Shake at different speeds. Your baby will search for the noise with his eyes. Draw several basic shapes and patterns on a white piece of paper with a black marker. Place the pictures close to your baby or tape next to her car seat or crib so she can easily see them. Have a “conversation” with your baby, taking turns making cooing and gurgling sounds. Sing to your baby. Repetition helps your baby learn and listen. Lay your baby on her tummy on the floor. Lay down next to her, watch her closely, and encourage her efforts to lift her head. Have “tummy time” every day. Take your baby on a walk through the neighborhood if the weather is nice. Talk to him about the things you see, smell, and hear. Fill a small plastic bottle with beans or rice. Replace the cap (childproof caps are best) and allow your child to shake it and make noise. Give your baby a spoon to grasp and chew on. It’s easy to hold and feels good in the mouth. Play voice games – talk with a high or low voice, click your tongue, whisper, repeat sounds made by your baby. Give your child plastic bowls, spoons, measuring cups or spoons, or other common household items to explore. Fill an empty tissue box with colored strips of paper or fabric. Your baby will love to pull them out. (Do not use newsprint or magazines. Never use plastic bags or wrap). Strap your baby into a bouncer seat to watch every day activities. Describe what you are doing, and allow your child to see, hear, and touch common objects. With your baby laying on her back, place a toy within sight but out of reach. Encourage her to roll or scoot to get the toy. Your baby will like to throw toys to the floor. Take a little time to play “fetch”. Give your baby a box or pan to practice dropping toys into. Place your baby on your knee facing you. Bounce him gently to the rhythm of a nursery rhyme or song. Help him clap his hands to the rhythm. One your baby starts rolling or crawling, play “come and get me.” Let your baby move, then chase after her and hug her when you catch her. Gently rub your baby with a soft cloth, paper towel, or lotion. Describe what she feels. ﻿﻿ Let y﻿our baby feed himself. This gives your baby practice picking up small objects and also gives him experience with textures in his hands and mouth. Put toys on a sofa or sturdy table so your baby can practice standing while playing. Turn on music. Hold your baby in a standing position and let her ounce and dance. Give your baby blocks to bang, rattles to shake, or wooden spoons to drum on containers. Show your baby how to bang objects together. Find a big box that your baby can crawl in and out of. Stay close by and talk to your baby about what she is doing. Play imitation games like Peek-a-Boo. Show pleasure and excitement at your baby’s imitations of movements and sounds. Give your child plastic containers and large beads or blocks. Your baby may enjoy dropping the toys into the containers and taking them back out. Read colorful books and magazines and point out what you see in the pictures. Choose children’s books with rhymes and fun rhythms. Let your baby play with plastic cups, cups with handles, strainers and sieves, sponges, and balls in the bath. Help your baby wave to greet others. Let your baby pat or poke at herself in the mirror. Smile and make faces at the baby in the mirror. Let your baby make choices – give her two toys or foods and see which one she picks. Encourage her to reach for her choice. Play Pat-a-Cake with your baby. Clap his hands together or take turns. Give him blocks or spoons to bang together. Copy the sounds your baby makes. Add a new one to see if she can copy you. Play Hide-and-Seek games with objects. Hide toys under a blanket, diaper, or pillow. Help your baby find the object if he needs. Play ball games. Roll a ball to your baby and help her roll it back to your or to someone else. Your baby will learn a lot in new places and around new people, but she may be nervous or frightened. Allow her to watch and listen and to move at her own speed. Your baby is fascinated by faces. Allow him to touch your face and name the body parts as he touches each. Make a shaker using bells. Let her hold the bells in one hand, and a bottle with rice or beans in the other hand. See which sound she prefers. Place your baby facing you. Change your facial expression (big smile, sticking out your tongue, widening eyes, raising eyebrows, puffing cheeks). Give your baby a turn and copy what she does. Put a windup toy behind or beside your baby. See if he turns to search for the noise. While sitting on the floor, place your baby in a sitting position inside your legs. Use your legs and chest to support your baby as much as he needs. This allows you to play with your baby while encouraging independent sitting. Give your child bright board books with different textures to feel and explore. Read the story with them, describe the textures and pictures. Talk to, sing to, and read to your child as much as possible. Babies enjoy push and pull toys. Make your own by threading yogurt cartons or small boxes on a piece of yarn. Tie a large bead or stacking ring on one end for a handle. Play the naming game. Name body parts, common objects, and people. Make an obstacle course with boxes and furniture that your child can climb in, on, and over. Let your child “help” during daily routines. Encourage him to go get a cup or plate for mealtime, bring a diaper or clothes when he needs to be changed, or find his shoes. Use boxes or buckets for your toddler to throw soft balls or bean bags into. Respond to your child’s requests when she indicates she wants something by pointing or naming it. Take your child to the park. Encourage him to explore as he is comfortable, watch and interact with other children. Talk to him about what you see and hear. Ask your child to point out an object in a picture or book. Ask them about the objects – what color or sound it makes. Tell him the answer if he doesn’t know and see if he will repeat it. Add a few Ping-Pong balls to your child’s bath toys. Hold the balls under the water and watch them “pop” back up. Teach your child songs with actions: “Itsy-Bitsy Spider”, “I’m a Little Teapot” etc. Make up your own songs with your child’s name. Take time to color with your child. Draw large shapes and have her color them in. Choose brightly colored crayons or markers. Add an old catalogue or two to your child’s library. They make a good “picture” book of common objects. Play a jumping game as you walk by jumping over cracks in the sidewalk. Hold your child’s hand to help him as needed. Give your child soap, a wash cloth, and a dishpan of water. Let her wash a doll or toy dishes. Wrap tape around one end of a piece of yarn to make it stiff and tie a large knot at the other end. Give your child large macaroni noodles, buttons, or beads to string onto the yarn. Make an edible necklace of Cheerios. Watch your child closely to be sure he doesn’t put non-food items in his mouth. Dance with your child to music of different tempos. Build roads and bridges with blocks. Use toy cars to drive over, under, around, and between to help your child learn location words. Practice “animal moves”. Hop like a rabbit or frog, walk on all fours like a bear, use your arm as an elephant trunk. Be sure to make the appropriate sounds too! Help your child learn new words by describing objects in everyday conversation. Talk about color, size, and shape, as well as how they move and feel. Put small drops of watered down paint on a piece of paper. Show your child how to use a straw to blow the paint around and make different patterns. Get a large piece of butcher paper and have your child lie on it. Use a marker to draw around your child’s body, including fingers and toes. Talk about the different body parts and allow your child to color in the outline. Hang the poster in his room. Use safety scissors to cut pictures of your child’s favorite things out of a magazine and glue them to a piece of paper. Make a bird feeder using peanut butter and bird seed. Help your child find a pine cone or a piece of wood to spread peanut butter on. Roll or sprinkle with seeds and hang in a tree or outside a window. While your child watches the birds, ask her about the number, size, and color of the different birds that visit. Talk about the number 3. Read stories that have 3 in them (Three Little Pigs, Three Billy Goats Gruff, The Three Bears). Encourage your child to count to three. After your child gets the idea, move on to 4, 5, 6, and so on. Play “Circus”. Find old, colorful clothes and help your child put on a circus show. Use a rope on the ground for a high wire act, a sturdy box to stand on to announce the acts, fun objects for a magic show, and stuffed animals. Encourage your child’s imagination and creativity. Don’t forget to clap and cheer for each act! Play the “What Doesn’t Belong” game. Add a small toy or other object to the dinner table, or to the bathroom counter when brushing teeth or hair. See if your child can figure out which item doesn’t belong. Write your child’s name often, saying the letters as you write them. Point out the letters in your child’s name on different objects throughout the day (cereal boxes, books, signs, etc). Help your child to write or copy her name if she is interested. Go on a walk and pick up things you find. Encourage your child to start a collection of special things – rocks, leaves, shells. Let your child help you prepare a meal. She can spread peanut butter and jelly, peel bananas and cut with a butter knife, pour cereal, and so on. Leave a word out while reading a familiar story and let your child fill in the blank. Make a ball or bean bag using an old sock. Fill the toe with beans or rice and sew or tie the other end off with a rubber band. Toss the ball back and forth. Play 20 Questions. Think of an animal and let you child ask 20 yes/no questions until she guesses what the animal is. Play “Mystery Sock”. Put a common household item in a sock. Tie off the top and have your child feel what is inside and try to guess what it is. Take turns putting items inside and guessing. Make puppets using sticks, paper bags, socks, or egg carton cups. Decorate the puppets. Make a puppet stage but turning a coffee table or card table on its side. Be the audience while your child crouches behind the table and puts on a show! Make an “I Can Read” poster. Cut out words and names your child can read, write your child’s name and names of relatives, and put pictures of people’s faces onto a poster board. Add to the poster as your child learns to read more names. While reading stories to your child and let her make up the ending or retell favorite stories with silly new endings that she makes up. Make color rhyme. Take turns rhyming a color and a word: blue, shoe; red, bed. You can also rhyme with names: Dad, sad; Jack, sack. Take turns rhyming. Practice pretend play. Take turns acting out different scenarios: eating a hot pizza with stringy cheese, winning a race, finding a giant spider, and so on. Take turns guessing what is being acted out. There are many organizations that use research to find the best activities to help your child learn and grow. Click the links below to go to websites where you can learn more!